A few years ago I wrote an article called, “How to write a copy deck in five easy steps”. It’s still a very popular post, but a recent commenter told me I hadn’t really defined what a copy deck is. And he was right! 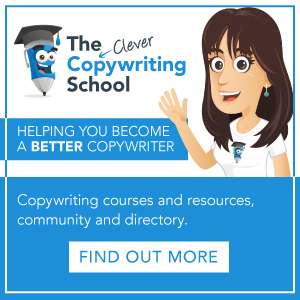 So now I’m going to tell you all about copy decks, and how they can really help you create great copy for a website, brochure or anything else wordy. A copy deck is a single document (usually written in Microsoft Word) that contains all the necessary bits and bobs for a given copywriting project. 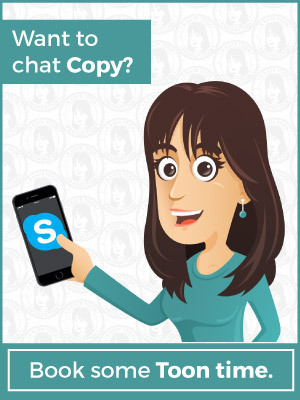 The term ‘copy deck’ is often used in advertising agencies, where it’s also known as a ‘copy platform’. If you’d like to buy a copy deck template – you’ll find mine for sale here. What’s in a copy deck? Title page: This has all the project details, including a list of contact details for those involved in the project and a versioning panel that shows the date of each version of the deck. Contents page: A simple table of contents that lets the user quickly jump to the relevant piece of copy. How should the brand be referred to, and can it be abbreviated? Are full stops required in headlines and sub-headers? Should title case or sentence case be used for navigation and other elements? How should bold, italic and underline be used in the copy? Tone guidelines: How should the copy sound – chatty, authoritative, formal or confident? SEO keyword phrases: If I’m working on a website copy deck, I’ll include a list of SEO keywords phrases that need to be used throughout the copy. Strapline suggestions: If I’m working with a new brand, I’ll work up a list of possible strapline or tag line suggestions. Common elements: With websites, this might include the header, navigation, and footer elements – anything that’s common to all pages. I write it here once so it doesn’t have to be repeated. Page detail: This is where I move into the copy itself. Each page is written into the copy deck with its own page number that matches back to the site map. How do you create a website copy deck? When I’m working on a website, I’ll format the copy so it’s easy for the client, designer and coder to understand and use the content. I’ll signpost the page title and meta description, and also point out which elements are graphics and links. I’ll provide guidance on which headers should be H1 tags, which should be H2 (and so on). And, obviously if I want copy to be bold on the page I’ll bold it in the deck. If there’s a form on the page, I’ll detail the type of fields I think should be used, such as dropdowns for state (NSW, ACT, etc.) and checkboxes for privacy agreements. I’ll also make it very clear to the client what will (and will not) be seen on the page by greying out all the geeky tech instructions. Should copy decks include layout? Some writers argue you should try to lay the copy out so the client can see how it will be displayed on the website. I don’t agree. Many copywriters see designers as the enemy, conspiring to ruin their beautifully crafted words. They create a clumsy copy layout to stop the evil designers messing things up. Copy decks are all about the words, not the design. When it comes to information architecture, you need to create wireframes. I’ve never had a problem with designers sabotaging my copy. Instead they’re grateful that my copy decks are clear and that I’ve given them the freedom to do their own thing. Microsoft Word isn’t a great tool for ‘designing’ a webpage or structuring content. So, while my little signposts help, the copy should be flexible enough to let the designer and coder work his or her magic. Another point to note is that with developments in responsive design, the content you write could look different on different devices. Again, it’s not the copywriter’s role to define this. So I’d argue you should try to keep your copy deck as clean as possible, and not include any layout. When should you create a copy deck? Ideally the copy deck should be completed before you start the design. So try to find yourself a copywriter before you start designing your site. I try to get signoff on the core elements (header, footer, etc.) before handing it over to a designer. This means he or she can start creating a framework knowing that the client has agreed to it. It’s a lot quicker and easier to tweak a Word document than it is to fiddle with a Photoshop file or (God forbid) a coded site. The more content that can be signed off before the design process begins the better. But be aware that your copy deck also needs to be flexible enough to change as the design progresses. If a designer asks for a little less (or more) content on the Home page, that’s fine. Often when I see my copy in the design I make a few tweaks as well. It’s all about collaboration after all. Why use a copy deck? The whole idea of a copy deck is to make it a single point of reference for everyone working on the project. It acts as a template for all pages, and provides guidelines on tone, structure and consistency. Because everything is in one neat document, it’s easy for anyone to pick up the project and run with it. This happens a lot in agencies, where creatives move from project to project. What is a copy deck? A step by step breakdown. 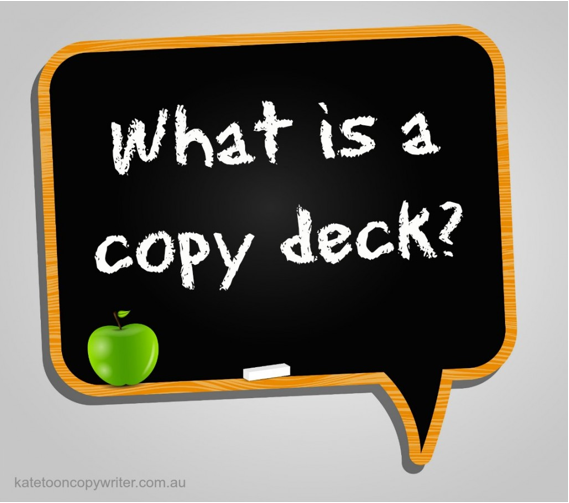 So there it is: my simple definition of what a copy deck is, and how I use it to create content for my clients. 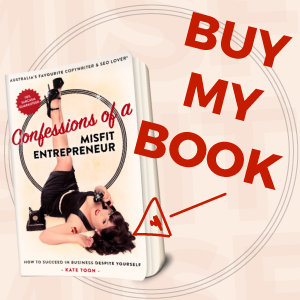 If you’re a copywriter, how do you pull your copy together? As a client, do you have a preferred way of digesting and approving your content?